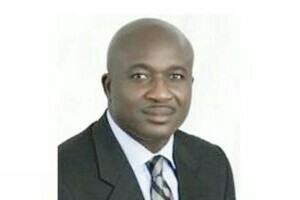 A statement signed by the state Commissioner for Information and Chairman of the organising committee of the event, Mr. Patrick Ukah, disclosed that the Governor and his entourage will visit Ethiope East and Ukwuani Local Government Councils on Tuesday and Wednesday. On Tuesday, the entourage will pay a courtesy call on the Ovie Of Agbon Kingdom by 10.30am. Immediately after this, the Governor will commission the completed rehabilitation and asphalt overlay of Ekreravwe/Orhoakpor/Isiokolo Road and also commission the newly constructed Otoro Primary School, Orhoakpor. Thereafter, the Governor will inspect the construction of Okurekpo/Okunoh-Okpara/Okoruah/Omumane/Samagidi Road, followed by the commissioning of Abraka Township Roads, phase 1. The programme for the day for Ethiope East will be rounded up with the inspection of the construction of Senate/Administrative building of Delta State University, Abraka. Same day, the Governor and his entourage will pay courtesy call on the Ezhie of Ezionum before commissioning the Amai Ezionum Abbi Road, phase 11 from Ezionum to Abbi, and also commission the Umutu Skill Acquisition Centre built by the Delta State Oil Producing Areas Development Commission (DESOPADEC). On Wednesday, Senator Okowa will hold Town Hall meetings with persons drawn from different groups in the two local government areas at Ovie of Agbon Hall, Isiokolo, and Iyemere Civic Centre, Obiaruku, by 10am and 1pm respectively. During the meetings, the Governor will give his score card and allow people to react and ask questions. Senator Okowa and his entourage will be in Ughelli North and Bomadi Local Government Areas next week.